Next month we're heading off to London to sample a rather splendid new tea at the Queen's House, Greenwich and would love for you to try it too. Enter our competition below for your chance to win! 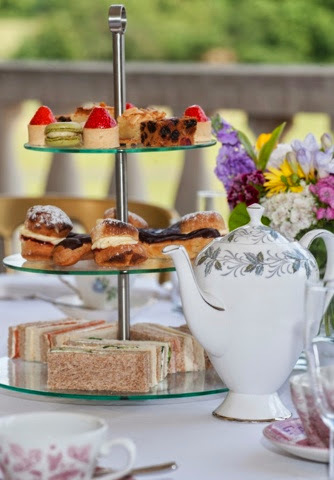 The Queen’s House, which you can follow on Twitter, offers a quintessentially British afternoon tea experience in one of the most architecturally important buildings in England’s history with unparalleled views over Greenwich Park. Guests can choose from a fine selection of aromatic Dammann Frères Teas including Earl Grey, Jasmin Green and Darjeeling, deliciously elegant finger sandwiches including honey glazed Wiltshire ham and red onion relish, and Scottish smoked salmon and soft cheese, and mouth-wateringly indulgent cakes including macaroons, Bakewell slice and mini fruit scones with Devonshire clotted cream and strawberry jam. Guests can also enhance their afternoon tea package with Prosecco and an expert’s curator tour to learn about the history of The Queen’s House and its outstanding art collection, which includes pieces by Gainsborough, Turner and Hogarth. Enter via Rafflecopter below. Good Luck! Terms and Conditions: Open to UK residents only. Competition will close at midnight on 29/07/2014. The winner will be chosen at random and announced on 30/07/2014. The Afternoon Tea Club's decision is final and no correspondence will be entered into. There will be no cash alternative. Winner will be notified via email. By entering the competition the winner agrees to participate in such promotional activity on our website and Twitter. No responsibility can be taken for any entries which are not received for any reason. The winner must be able to provide their own transport to and from the venue and accommodation should this be necessary. Prize must be claimed on one of the dates specified above after which no alternative will be available. The venue reserves the right to specify the date and circumstance of the prize should the winner's chosen date be unavailable or conflict with the venue's schedule. The Afternoon Tea Club operates as a separate entity to the Queen's House Greenwich. It is b) Greenwich Park.